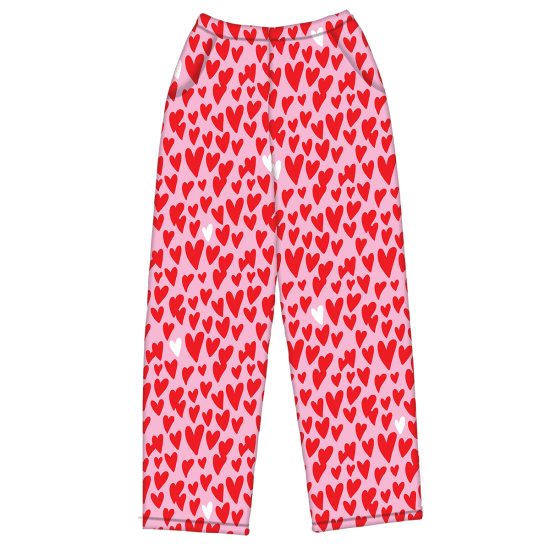 Cozy lounge pants that look and feel like a great big hug? YES PLEASE! Covered in a storm of red and white hearts on a pink background, these cuties are like a big ol' declaration of love—making them perfect for gift giving!